Click HERE to complete the Online Screen Form. 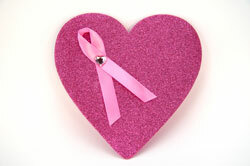 Chemotherapy treatment can increase the longer-term risk for heart disease in some breast cancer survivors. This study tests how chemotherapy and other cancer treatments may affect the way your body metabolizes (processes) a high-fat meal. Additional factors related to heart health will also be measured. The researchers will study your body’s response to a fast-food-type meal by measuring triglyceride levels (fat in the blood), immune responses (certain kinds of white blood cells), heart rate, and blood pressure. The goal is to see if responses before cancer treatment differ from those after cancer treatment. Specifically, the researchers want to know if these meal responses are related to the type of treatment you receive, your level of physical fitness and any changes in fitness following cancer treatment, emotional distress, and/or the buildup of calcium deposits in the blood vessels surrounding your heart, a risk factor for heart disease. In doing so, our study will contribute to knowledge about the long-term health of breast cancer survivors. The study involves two visits shortly after your cancer surgery, a one-year follow-up visit, and two 2-year follow-up visits. For the first part of the study, you will attend a full day study visit, and a separate 2.5 to 3-hour study visit that includes an exercise session and a cardiac CT scan. If you are going to receive chemotherapy, these visits will take place before your chemotherapy treatment starts. If you are not receiving chemotherapy, these visits will occur shortly after your cancer surgery. About one year after your cancer treatment ends (except hormonal therapy), you will complete a 1-year follow-up assessment online and by phone, which will take about 1 to 1.5 hours. Then, about 2-years after your cancer treatment ends, you will attend another full day study visit and a separate 2.5 to 3-hour study visit for another exercise session and cardiac CT scan. The full-day visits will take place at the Clinical Research Center (CRC), a hospital research unit located at the OSU Wexner Medical Center. The exercise session will take place at the Davis Heart and Lung Research Institute, and the cardiac CT scan will take place at the OSU Ross Heart Hospital. What do the two 9.5-hour study days involve? You will be scheduled for two 9 1/2-hour visits at the Clinical Research Center (CRC). If you are receiving chemotherapy, your first visit will occur before your chemotherapy starts. If you are not receiving chemotherapy, your first full-day visit will occur within one or two months after your surgery (but before any radiation treatment). Your second full-day study visit will occur about 2 years later. These visits will take place on a weekday from 7:30am to 5:00pm. These visits will include a standardized meal, blood draws, saliva samples, body measurements, questionnaires, and interviews. Prior meals, recent exercise, and recent alcohol use can affect your body’s responses to subsequent meals. To limit the differences related to these factors, you will be given three standard meals prepared by the Clinical Research Center to eat the day before each of your two full-day visits. You will be asked to eat these prepared meals and nothing else on those days. You will also be asked to refrain from consuming alcohol for 24 hours before each full-day visit, and you will be asked to avoid any strenuous physical activity for the two days before each full-day visit. You will not be able to take vitamins, antioxidants, or other nonprescription dietary supplements for the 7 days prior to each admission. If you have been instructed by your physician to take aspirin daily, you can continue to take it; otherwise, you should refrain from taking aspirin for the 7 days prior to each admission. You cannot eat anything after 7:30 PM on the night before the two visits. However, you are free to drink as much water as you want, and you should take any prescription medications as scheduled. You will be given a full meal as soon as your first blood sample has been drawn on each visit. At both visits, you will receive a meal that resembles a typical fast-food meal in terms of its nutritional content (it is high in saturated fat). You will need to eat the entire meal within 20 minutes each time. If you are not willing to eat the required food, or are unable to eat the required food due to food allergies, you will not be able to participate in the study. You will receive water but not any other food or drink during the next 7.5 hours after you finish the meal. At the beginning of each of your full-day visits, a catheter (a small, hollow plastic tube) will be inserted into a vein in your arm so that small amounts of blood can be drawn at different times across the visit. The catheter will be removed at the end of each visit. You will have a total of 240 ml (1 cup) of blood drawn during each of the 9½ hour visits. This is about 1/2 the amount that you would give if you were donating blood. During both visits your metabolic response to the meal will be measured 6-8 times. In order to obtain this information, you will lie in a hospital bed with a facemask that covers your nose and mouth for about 20 minutes each time. During these times you will be asked to lie still and breathe normally. What do the two 2.5 to 3-hour study days involve? On one of the days surrounding (but not on the day immediately before) each of your full-day visits, you will complete a brief (6-10 minute) exercise test on a bicycle. This test will help researchers measure your fitness level, and be supervised by an exercise physiologist. You will be asked to get permission from your primary care physician or surgeon or oncologist before participating in this activity. Click HERE to access the physician consent. The speed and workload (strength needed to pedal) will begin at a level that can be easily accomplished, and will gradually increase your heart rate to within 85% of your age-predicted maximal heart rate. You can signal the exercise physiologist to stop the test if you become too fatigued or decide to stop, or if other symptoms prevent you from exercising further. It is not desired that you exercise at a level that is abnormally uncomfortable; however, you should exercise as long as is reasonably comfortable. On the same day as the exercise test, you will have a computerized tomography (CT) scan to measure the amount of calcium in the blood vessels surrounding your heart, which can help determine risk for coronary (“heart”) artery disease. The scan is similar to an x-ray of the heart, and involves lying flat on a table that slides into a short round CT scanner. If you are pre-menopausal and there is any chance you might be pregnant, we will ask you to take a urine pregnancy before the CT scan in order to protect pregnant women from being exposed to radiation from the CT scan. What does the one-year follow-up visit involve? At about one year after completion of cancer treatment (except for hormonal therapies), you will be called twice and asked to recall the foods you ate in the past 24 hours and each interview will take 15-30 minutes. During one of the phone calls, you will also be asked questions related to memory and concentration. You will also be asked to complete an online food frequency questionnaire that will take approximately one hour. How would I benefit by participating? Detailed report regarding your eating patterns, your average daily intake of different nutrients and recommendations for improving your diet. Results obtained from the exercise test will provide you with information about your physical fitness, cardiorespiratory endurance, and your ability to sustain prolonged exercise related to others in your age group. You may be reimbursed up to $665 for your time in the full study. Who are the investigators and where does the funding come from? Our investigators are scientists, oncologists, and physicians at the Ohio State University Colleges of Medicine and Public Health. Our project is a joint venture of the Institute for Behavioral Medicine Research, the Department of Internal Medicine, the School of Public Health, and the Comprehensive Cancer Center.